Enamoured by the Blue Rose Code‘s latest poetic collection of paeans and lamentations, Ayfer Simms extolls the virtues of The Ballads Of Peckham Rye in her own inimitable rhapsodic celebratory style. If all the beaten souls, the stupefied hearts, the vagabonds, the Christopher McCandless’ were to return from the dead, they would all gather around Ross Wilson’s to shake his hand in recognition of his prose, for rendering so well what many take to the grave: this album comes from a place between life and death, where the quintessence of the man’s core, drips slowly and beautifully in our ears like an elixir of life. The Ballads of Peckham Rye is the voice of the Sleeper of the valley, lying on the grass under a warm sun after waking from his foggy slumber: He whispers his stories to us, as if recalling one by one the memories from a past life. “All of my life, (…) I tried to see if I could be a peaceful man”, the soldier that had fallen is resurrected on a fine summer day. Throughout the album’s enchanting melodies, we quickly forget about assigning a genre to his music (Described by himself as Caledonian Soul), it is the Man himself that we get to know very intimately. This album is an open letter written from the darkest corner of his soul that unravels the journey of a troubled mind and the confession of serenity upon his return: We stand there bewildered, listening carefully. We understand we were the ones judging him for being astray, he was the main judge, and yet finally he comes through the dark, stronger despite the hard times. What emerges in this tale is a man who knew he was still “complete and gentle” while plunged in the abyss, and that despite his errands in the unsure gloom of the absinthe, he did try his best, even when he promised, “never again” he “meant every word of it”. There is love and forgiveness; there is wholeness and peace. Part of the title ‘Ballads’ renders well the intricate sound, a sort of folk, melodic, country music with some Hawaiian loop, a jazzy croon that recalls Jeff Buckley’s Grace, liquescent and comforting Celtics waves and an eerie ancestral chorus. His ‘Silent Drums’ come all the way from the other side, Ross is conquering us with his energetic roar, we imagine him marching through the Scottish meadows guiding an army of medieval ghosts to enter the world of the living, well determined to tell the truth about what he saw, what he went through, and what he is deep down. It is no secret that Ross battled alcoholism and alienation that comes with it, some songs recount hard times: “every day we are farther apart” and ‘I spent my life burning the bridge I built”, yet this album is full of light and energy and, confidence oozes from it. This is the tale of a man who has made peace with his demons. 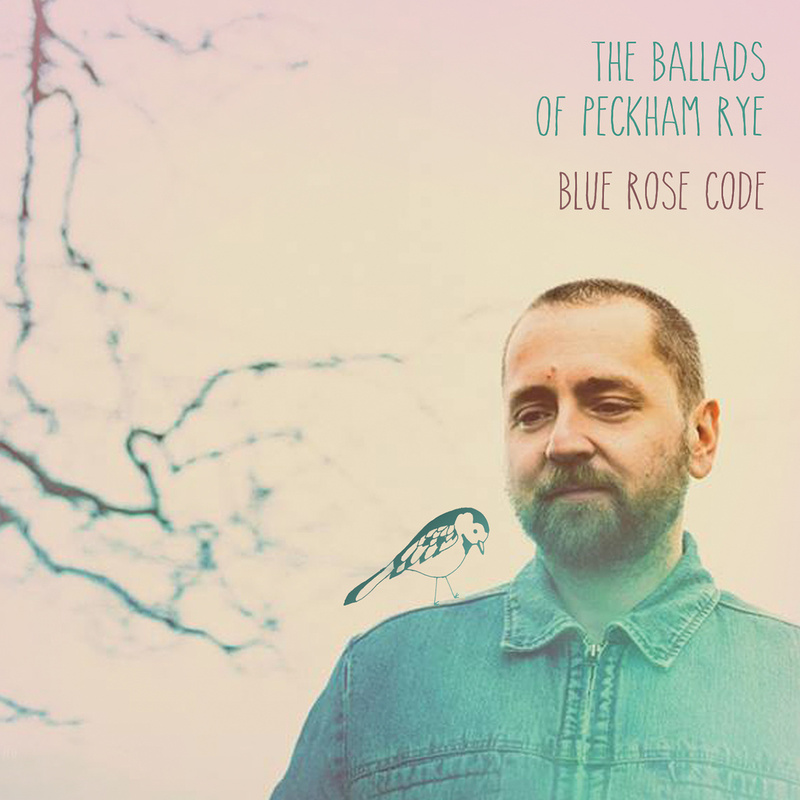 The deluge of instruments and original touches scattered throughout the album like clapping, gospel chanting, a sublime voice, and above all beautifully written lyrics, make the Ballads of Peckham Rye a superb album. Peckham Rye in London will no doubt become a cult place visited by those who want to see where all this started, Ross’ choice of the title, taken from the 1960 novel, only emphasize the depth of his poetry, a nice way of exorcising the devil inside him.